Changing climate and rising global temperatures are predicted to trigger massive changes in agriculture all over India. Predictions for wheat are particularly grim. A recent paper in the journal Global Change Biology says India will be one of the hotspots of decline in wheat productivity as global temperatures rise. The decline in absolute terms will be similar in all wheat growing regions of the country, but farmers in southern wheat growing regions (eg. Madhya Pradesh, Northern Maharashtra) will be hit the hardest as temperatures in these regions are already high.The authors made their predictions using computer-based simulation models. They verified the simulation data with “field experiments where temperature was changed, but everything else was kept constant”, says Senthold Asseng, lead author of the study and Professor of Agricultural & Biological Engineering at the University of Florida. Wheat is India’s most important rabi crop. It is responsible for both food security and economy. Though wheat production in India has consistently increased in the last decade, the impending threat of decline can’t be ignored. Wheat is a highly temperature sensitive crop. All stages of plant development, starting from germination to grain development are sensitive to temperature. A previous study has shown that every 1°C rise in temperature can set back global wheat productivity by 6%. An extensive study by scientists from Indian Institute of Agricultural Research (IARI) in 2014 reported that climate change will reduce wheat yield in India in the range of 6 to 23% by 2050 and 15 to 25% by 2080. The range in decline was found to be mediated by the time of sowing. Early sown wheat was projected to experience a lesser decline in yield than the late sown varieties. The authors also studied how adaptive measures can help cut losses. Simple measures like adjusting the time of sowing were found to “minimise yield reduction from ~23% (impact, without adaptation) to ~17% in 2050”. The reduction in decline happened with with existing wheat varieties albeit under improved nutrient and irrigation management and a higher dose of nitrogen fertiliser. With improved or better yielding varieties, “yield reduction could be minimised to ~9% in 2050 and to ~13% in 2080”. Even so, despite the best adaptive measures, wheat production in India by 2080 is projected to “reduce by ~5%”, write the authors in their paper. “Predictions are generally based on present tools and information available. Their accuracy may vary. However, it is true that temperature rise as we see today will surely hit winter season crops like wheat if breeding for heat tolerance is not achieved at equal pace”, says Arun Kumar Joshi, Principal Scientist, Global Wheat Program, CIMMYT (International Maize and Wheat Improvement Center) South Asia. “We must continue to breed for heat and water stress tolerance”, combining it with techniques to improve the efficiency of water utilisation”, he adds. 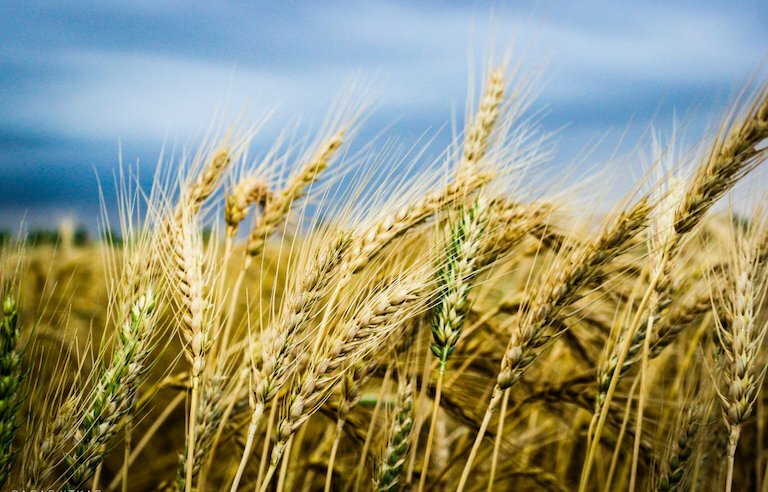 Apart from rising global temperatures, a variety of other factors affect wheat productivity. As long as we can outdo the effects of rising temperature by adopting better technologies and agricultural practices, wheat yield can still go up. “In many regions of the world, technology-based increases have slowed down or even stagnated”, says Asseng. We in India, still haven’t reached the point of stagnation. So, there is room for improvement. Once we reach there, whether we’ll be able to cross over that boundary of stagnation with improved yield or we will start on the decline path will depend on our commitment to improved agricultural technologies.